The Welch Allyn 3.5v Prestige wall set contains a 3.5v Coaxial Ophthalmoscope and 3.5v Macroview Otoscope with a wall-mounted power supply unit. 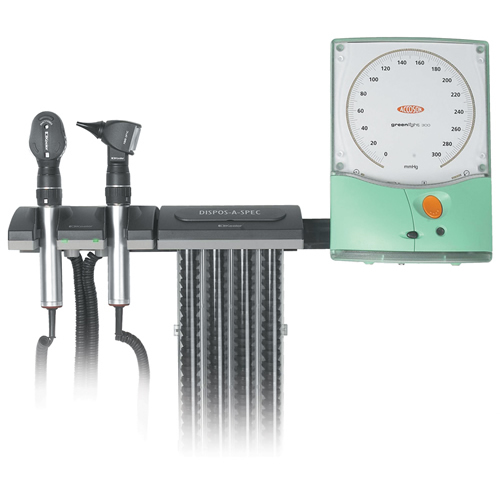 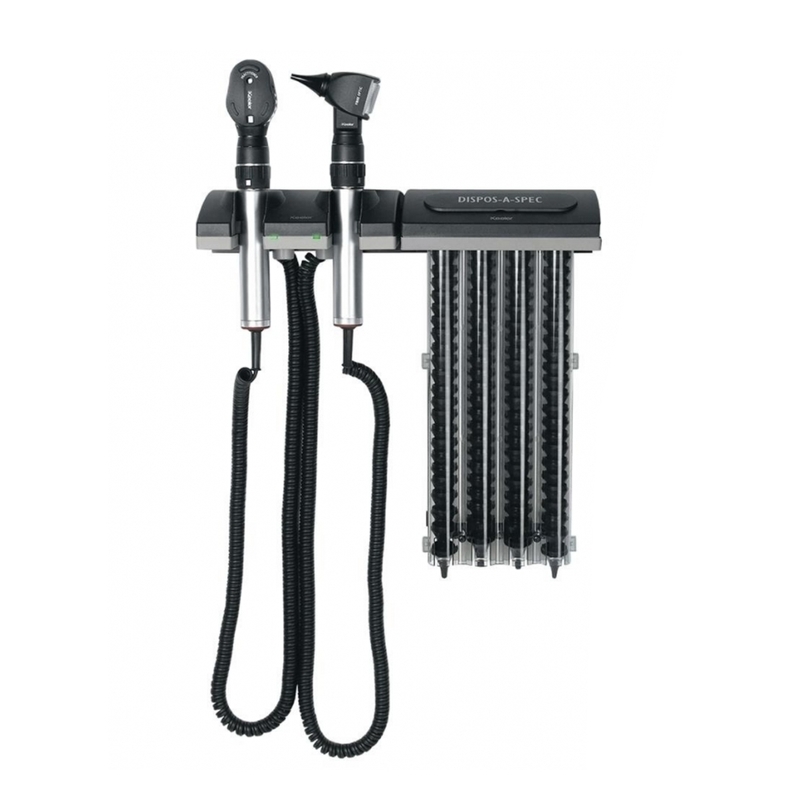 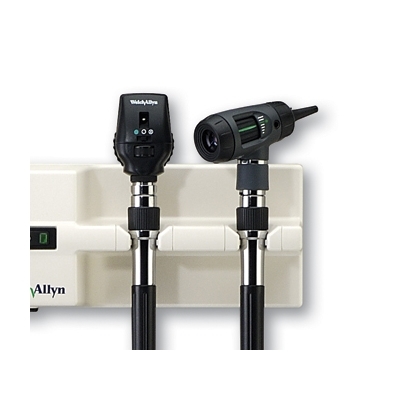 Welch Allyn 3.5v PanOptic Elite wall diagnostic set with a wall-mounted power supply unit. 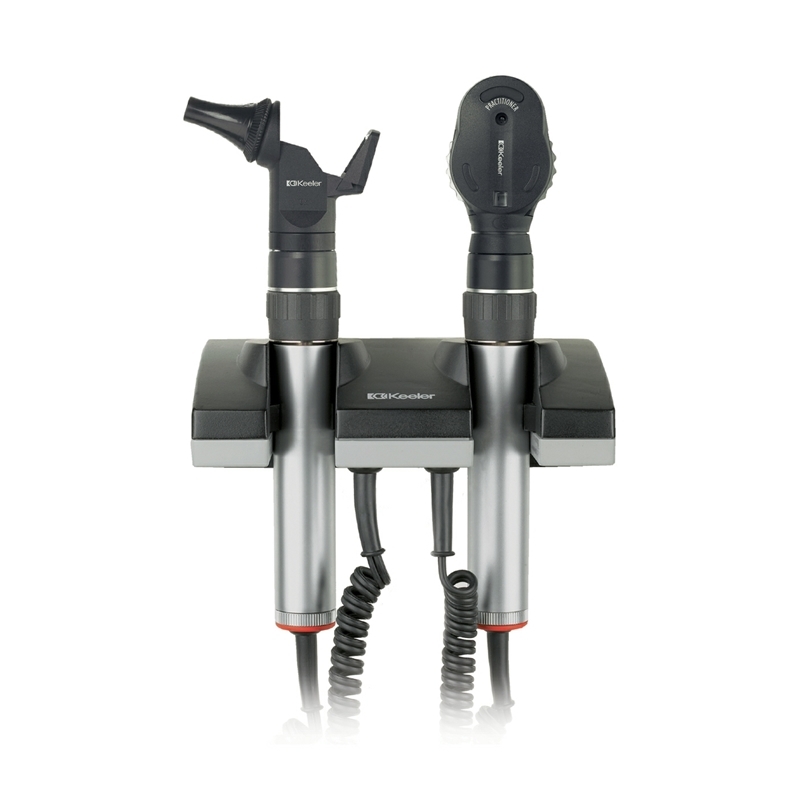 The PanOptic ophthalmoscope provides easy entry into the eye, together with a wider field of view to more easily observe conditions such as hypertension, diabetic retinopathy and papilloedema. 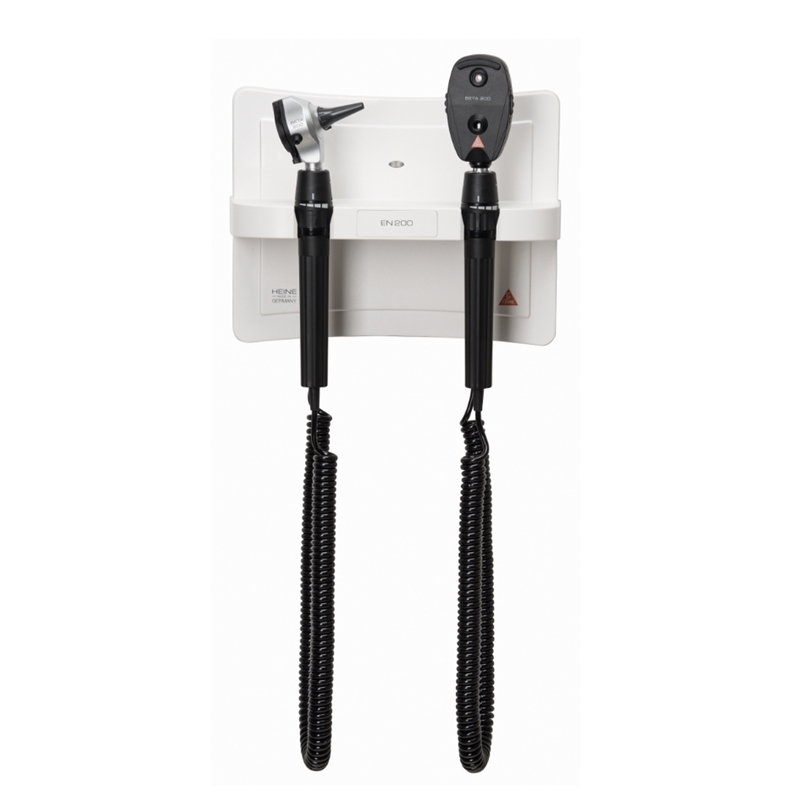 Our most popular wall mounted diagnostic set, the Welch Allyn 3.5v Elite wall set contains a 3.5v Coaxial Ophthalmoscope and 3.5v Diagnostic Otoscope with a wall-mounted power supply unit.